The day has arrived. All the sleepless nights, cups of coffee and hard work has produced before you your very first app! Or maybe it’s your 100th app. No matter what, before you go rushing to submit it to the app stores, take a step back and assess these following points. It’s important to put your best Pre-Launch ASO foot forward to get off to a great start with your new product! It’s important to pick the best name for your app. The name needs to be unique, not trademarked, and searchable. Ask yourself, will it be hard for a direct search to lead to your app? Try searching for your app’s name and see what apps are displayed. If there aren’t many results or only generic results, then your app name should be fine, but if there are a lot of results and popular apps, you might want to rethink your app’s name. You also want your app title to contain your main keyword or phrase. For more info on how to choose an app store optimized app name, read our post: “Your app name matters: here’s how to choose it“. Your icon needs to be eye-catching to stop users mid-scroll and your screenshots should contain text callouts that highlight your app’s main selling points. Showcase your app’s screenshot in a device or think outside of the box when representing your app’s UI. Try to design something that will differentiate you from the competition. Do you have a video uploaded to publish with your app listing? Having a well-made preview video adds a lot to illustrate your app’s key features as well as help call users to action to download! Learn more about our Preview Video Service here. Because your app hasn’t published you won’t have backlinks yet. You could build backlinks to a pre-launch landing page, but a better strategy would be to line up guest blog posts and backlinks for when your app does publish. Building backlinks can be a valuable source of users outside of the app stores. More and more app-related results are displaying for mobile web searches, and with the focus on deep linking and app indexing for web, it provides a fantastic opportunity for optimization outside of the typical in-store keyword rankings. 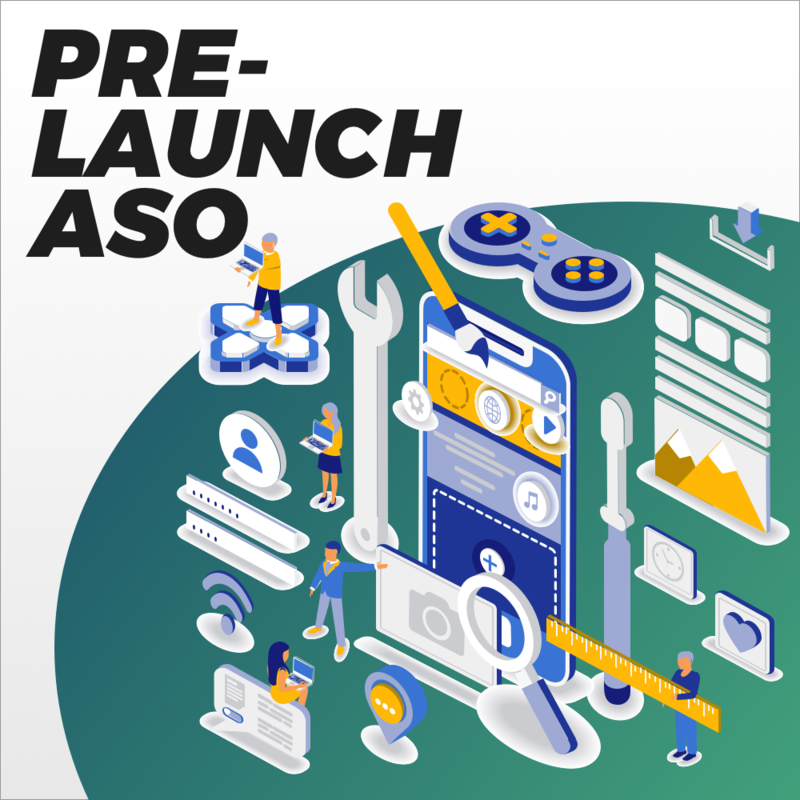 Believe it or not, Search Ads really are a part of ASO, and here at The ASO Project, we’ve introduced our Search Ads Management service in order to help our clients with all search acquisition efforts. Collecting analytics from Search Ad campaigns can aid in your ASO strategy, and ASO knowledge can improve the effectiveness of campaigns. Influencer marketing is one of the most effective ways to reach mass audiences at scale. We partner with influencers that have social channels relevant for our clients. Our design and marketing team creates the ad content (video, graphics, etc) and we plan the campaign with the influencer. Post-campaign, we analyze impressions, engagement, and installs to ensure the highest level campaign results. Let our ASO experts audit your app for optimization! PREVIOUS: Can big-name brands still benefit from App Store Optimization?